Are you ready for Freddy? Add some gaming style to your wardrobe with this awesome official Five Nights At Freddy's boy's t-shirt! 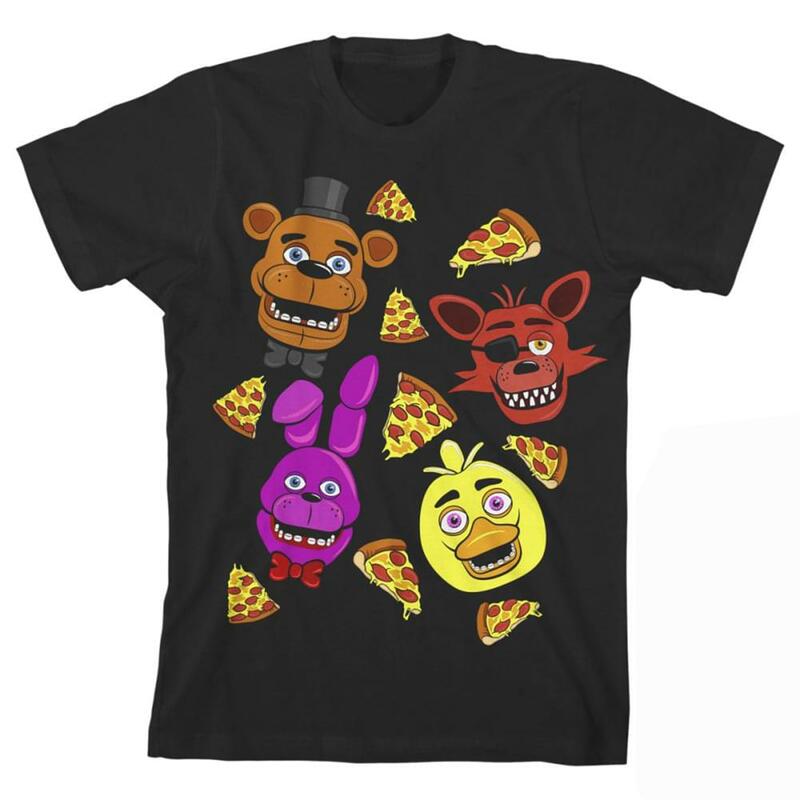 Inspired by the survival horror game Five Nights at Freddy's, this black t-shirt sees an awesome print across the front showcasing a creepy image of the animatronic character Freddy Fazbear and three of his friends along with numerous pizza slices. Cooler yet, the character's eyes, teeth and the pepperoni glow in the dark! Youth 8-20 sizing.